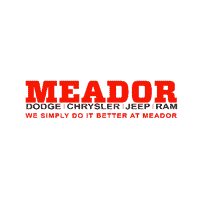 When you want to customize your vehicle and give it your own personal touch, get genuine Chrysler, Dodge, Jeep, and Ram accessories from Meador Dodge Chrysler Jeep Ram in Fort Worth, TX ‐ serving Arlington, Rockwall, and Duncanville. We keep a wide selection of genuine Mopar® accessories available so you can easily add some extra style to your new vehicle. Our genuine Mopar® accessories are crafted to fit perfectly with your specific model and trim, so you get a guaranteed fit and performance. Whether you’re looking to add more curb appeal, extra protection, or bonus features, there are a plenty of options for you to explore. Check out the Chrysler all-weather floor mats or the Dodge splash guards to safeguard your vehicle against the elements. Look for the exciting Jeep tent or the Ram cargo ramp to simplify your travel experience. No matter what you need, we’re sure to have something to help your vehicle feel like it truly belongs to you. Shop and order your genuine Dodge, Chrysler, Jeep, and Ram accessories online at your own convenience. Be sure to see our parts and accessories specials before you place your request. You can also call to schedule an installation time to have your accessories fitted with factory precision by one of our certified technicians.